SACRAMENTO – The Senate Judiciary Committee voted 7-2 in favor of SB 749, legislation authored by Senator María Elena Durazo (D- Los Angeles) which would make clear that all information in a public contract between a private industry employer and a state or local agency pertaining to job creation, job quality, and job retention, as well as Buy America compliance, is not exempted from the California Public Records Act (CPRA) as a trade secret or for any other reason. 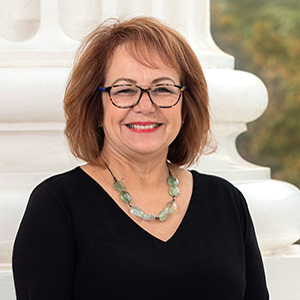 SACRAMENTO – The Senate Judiciary Committee voted in favor of SB 529, legislation authored by Senator María Elena Durazo (D- Los Angeles) which would ensure a tenant’s right to organize by protecting them from retaliatory eviction. The bill now heads to the Appropriations Committee. Senator María Elena Durazo introduces Dolores Huerta on the Senate floor in commemoration of Dolores Huerta Day. “I commend Governor Newsom for his leadership and am grateful to join the conversation with our community leaders about the root causes for migration. SACRAMENTO – The Senate Health Committee voted 7-1 in favor of SB 29, legislation authored by Senator María Elena Durazo (D- Los Angeles) which gives all Californians who qualify for Medi-Cal, access to quality care regardless of immigration status. The bill now heads to the Appropriations Committee. “I am proud of Governor Newsom for suspending a system that is discriminatory and unjust.